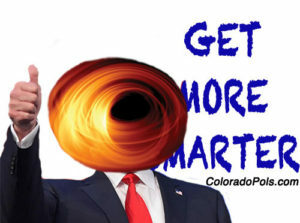 Today on the Get More Smarter Show: host Jason Bane sits down with Colorado Attorney General Phil Weiser to talk about the 2018 elections, Weiser’s agenda and accomplishments in just a few short months in office, and the greatest video game ever. Catch up on previous Get More Smarter Show episodes here, and thanks for watching! 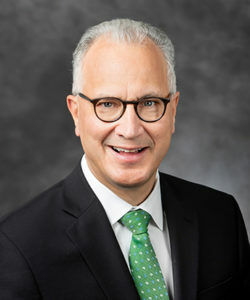 Former Rep. Mark Kennedy (R). Late-breaking news Thursday night from The Denver Post revealed that a Tuesday article from the Grand Forks Herald rumoring Kennedy’s move caused the board to push up the date of their announcement. Regent Linda Shoemaker (D-Boulder) told the Post that because of this, Kennedy was not fully vetted before being announced as a finalist to the public. “We need the press and the public to do the job in vetting him,” Shoemaker told the Post. After the announcement, public backlash from CU students, parents, alumni, faculty and the local community surfaced surrounding Kennedy’s voting record during his time representing Minnesota in Congress from 2001 to 2007, and other past actions. Kennedy voted in favor of restrictions on abortion and against gay marriage. 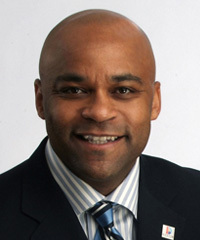 He was one of 236 members of the House to vote for the Marriage Protection Amendment in July 2006, which would have amended the Constitution to say that marriage consists only of one man and one woman. The vote fell short of the 290 votes required for passage in the House. The CU Independent’s story goes deeper into ex-GOP Rep. Mark Kennedy’s voting record in the U.S. House, with a voluminous record of votes against LGBT and abortion rights. In addition the American Civil Liberties Union rated Rep. Kennedy at a dismal 7% against their scorecard. 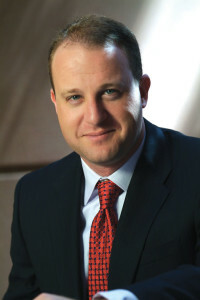 Representatives for Governor Jared Polis, Colorado’s first openly LGBT governor, declined to comment on Kennedy’s selection. Kennedy has said that his first phone call as CU president would be to Polis. During Bruce Benson’s decade-long term as President of the University of Colorado, the institution has steadily pushed its public-facing brand toward the political right. Benson was personally consumed with the idea of “ideological balance” in the University’s faculty and curriculum, and did everything he could to promote this idea without setting off outright rebellion. The position of “visiting professor of conservative thought” was created so conservative think-piecers like Stephen Hayward could offend the student body from a position of scholarly authority. Meanwhile CU’s Leeds School of Business morphed into a white paper mill for Republican talking points on a range of economic issues. Kennedy responded to the growing anger over his hastily announced selection as sole finalist with an open letter to the CU community, insisting that personal his views on issues like abortion and LGBT rights have changed along with the evolving “societal consensus” on these issues–consensus that’s hard to see in Mark Kennedy’s Republican colleagues today. That dryly-worded letter has by most accounts done little or nothing to ease concerns about his selection. Kennedy’s opponents on the Boulder CU campus are organizing a major protest for Monday at noon expected to be attended by hundreds if not thousands of students and faculty. For a proud institution that has suffered from decades of fiscal neglect, followed by a period of improved solvency in exchange for corporate dependency and dubious politics under Benson, the choice of the next President is extremely important with profound implications for the future of the state’s flagship “public” university. At first glance–which is all anybody has had–this choice doesn’t look good. [Douglas County Sheriff Tony] Spurlock discussed how supportive Parrish’s parents were of the measure, which Spurlock began pushing for last year after Parrish was shot and killed on New Year’s Eve 2017 by a man who the department knew had a history of mental health issues and several weapons. Beginning in January, Colorado judges will have the power to temporarily remove firearms from people believed to be at high risk of harming themselves or others, joining more than a dozen other states that have put into law some type of red-flag bill. Gov. Jared Polis signed House Bill 1177 on Friday at the state Capitol, after nearly two months of contentious legislative hearings marked by a familiar partisan divide over the issue of gun control. Proponents of the extreme risk protection order bill say it could be instrumental in reducing the likelihood of another mass shooting while at the same time cutting down on the number of suicides in Colorado. Second Amendment backers say the law runs the risk of depriving Coloradans of their constitutional right to bear arms when it takes effect Jan. 1. The signing of House Bill 19-1177 into law today brings to a close another ugly debate over gun policy in Colorado, riddled with misinformation intended to incite anger among gun owners and provoke political retaliation against majority Democrats. The legislation, which allows family members or law enforcement to go before a judge and prove to an evidentiary standard that a person represents a significant risk to themselves or others and temporarily remove firearms from that person’s custody, already exists in over a dozen other states where its judicious use has saved lives. The reality of this legislation and expected very limited utilization–170 cases per year as estimated in the bill’s fiscal note–has very little relationship to the wild arguments that have been made against the bill by gun lobby opponents. Much like the far-out claims in 2013 that guns laws passed that year would result in “gun confiscation” and that “no one in Colorado can ever get a magazine again,” the gun lobby terrorized their grassroots base this year with baseless warnings of vengeful spying neighbors and bumper-sticker raids by police–none of which are rational outcomes of the bill. The truth is that over 80% of Colorado voters support a “red flag” law, and none of the changes from 2018’s version justify the partisan closing of ranks we saw over the bill this year. The political reality is that Republicans who supported the legislation in 2018 peeled off under intense pressure from Rocky Mountain Gun Owners, who helped Democrats take down Rep. Cole Wist and Attorney General candidate George Brauchler as punishment for supporting the bill last year. And make no mistake: Brauchler started backing away from the bill even before he lost the election last fall, having nothing to do with changes in the bill’s language. RMGO’s willingness to tear down fellow Republicans rather than compromise, even at the expense of their own agenda in helping replace Wist with an ardent supporter of gun control, was enough to chill further dissent. Now, Democrats have the job of cutting through that misinformation. After 2013 we expect they get the urgency. The Denver Nuggets start their playoff run on Saturday at home against the San Antonio Spurs. It’s time “Get More Smarter.” If you think we missed something important, please include the link in the comments below (here’s a good example). If you are more of a visual learner, check out The Get More Smarter Show. Trump said Friday that his administration is giving “strong considerations” to a plan to release immigrant detainees into “sanctuary cities,” blaming Democrats for what he characterized as an unwillingness to change immigration laws. His comments on Twitter followed a Washington Post report that the administration had been eyeing districts of political adversaries, including that of House Speaker Nancy Pelosi (D-Calif.), to release detainees. His tweets suggested that the plan, which immigration officials had rejected in November and February, was again viable. …Only by seeing certain people as lesser or a threat can you treat them like political pawns on your broader chessboard. Ballots for the city’s spring election will arrive in mailboxes next week, and we hope voters consider how very much is on the horizon in Denver to be excited about…. …Hancock’s administration and City Council have stood up to developers, even if at times we wish they had reacted more quickly: rejecting slot-home developments; closing a loophole that allowed developers of multi-family houses on small lots to not provide off-street parking; setting an ambitious goal for affordable housing, meeting it early and then creating a multi-million dollar fund to keep the progress going. We see the mayor’s leadership in creating Denver Day Works, a program that sets aside city work for day laborers, and in his commitment to creating new shelter beds, improving existing shelter spaces and building a daytime facility with showers and other resources. More needs to be done, but Hancock is ready and willing to meet the challenges of a booming city and he is the only candidate ready to meet the challenges if this nation faces an economic downturn. 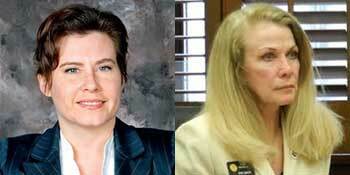 ► What are Republican recall attempts in Colorado really about? Making money, of course. …“Senator Gardner’s strong fundraising quarter is another indicator of the wide range of support and confidence in the job he’s doing and the belief in his work to get things done for the state in a bipartisan manner,” said Casey Contres, the senator’s campaign manager. These are things that your campaign spokesperson says after any fundraising period, but a $2 million quarter is milquetoast for the most endangered Republican incumbent Senator in 2020. Gardner raised $1.4 million in about a month when he first entered the race for U.S. Senate in Spring 2014. By comparison, incumbent Sen. Mark Udall (D-Boulderish) raised a little more than $2 million in the first quarter of 2014. That was 5 years ago. Gardner is not just the most endangered Senate incumbent this cycle — he’s also coming off a two-year run as Chair of the National Republican Senatorial Committee (NRSC). The whole point of being Chair of the NRSC is to strengthen your fundraising connections; instead, Gardner barely outraised Democratic challenger Mike Johnston ($1.8 million). Note that Gardner is the only Republican candidate for Senate in Colorado, while Johnston has a half-dozen Primary opponents. Candidates who don’t have to worry about a Primary normally do better in fundraising; Arizona Democrat Mark Kelly, for example, pulled down more than $4 million after announcing his Senate campaign on Feb. 14. Gardner’s fundraising quarter is also remarkably dull considering that he already has a number of big-name surrogates working on his behalf. Gardner has strung together some terrible weeks into a pretty bad run, lowlighted by the Denver Post’s jaw-dropping UN-dorsement in March. In the midst of so many troubles, a $2 million fundraising quarter is…fine. The problem for Gardner is that “fine” isn’t going to get him re-elected. 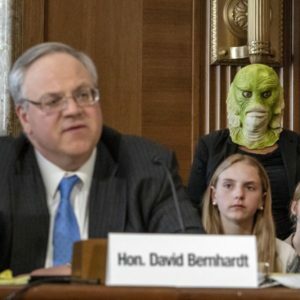 The Senate on Thursday voted to confirm David Bernhardt, a former lobbyist for the oil and agribusiness industries, as secretary of the interior. The confirmation of Mr. Bernhardt to his new post coincided with calls from more than a dozen Democrats and government watchdogs for formal investigations into his past conduct. Senators voted 56-41, largely along party lines, in favor of Mr. Bernhardt’s confirmation. Two Democrats, Senator Joe Manchin of West Virginia, the senior Democrat on the Senate Energy Committee, and Senator Martin Heinrich of New Mexico, crossed party lines to vote in favor of Mr. Bernhardt. As interior secretary, Mr. Bernhardt, who has already played a central role in designing many of Mr. Trump’s policies for expanding drilling and mining, will now serve as the nation’s senior steward of its 500 million acres of public land and vast coastal waters. “Being a Colorado native does not give David Bernhardt special qualifications for running the Department of the Interior, and shame on Senator Gardner for letting the fox guard the henhouse simply because he’s from the same neighborhood. Senator Gardner made a huge mistake with his vote today, given Bernhardt’s troubling record and spiraling conflicts of interest. Westerners love their public lands and the environment and Bernhardt cannot be entrusted to protect them on our behalf. Confirmation of Bernhardt by the GOP-controlled U.S. Senate will not end questions about his ethical record both at the Interior Department going back to the bad old Jack Abramoff days, as well as his private practice as an attorney representing big energy producers and other polluters creating major conflicts of interest. Colorado has been fortunate to have more than our share of locally grown Secretaries of the Interior in the last two decades, but we’re obliged to note that the last Republican Interior Secretary from our state Gale Norton left office under a cloud–soon after her departure waltzing through the revolving door to work for Royal Dutch Shell. Bernhardt will take office under a cloud, so at least the worst case scenario won’t come as a surprise. We’d say the opportunity for a “dollar sign” (see below) conflict of interest is rather large. Wouldn’t you? In the last 24 hours, the “campaign” to recall Gov. Jared Polis, which kicked off with a spate of nasty revelations about the anti-Semitic and otherwise unpalatably extreme views of its organizers, has shifted gears–into a new operation run by familiar faces in Colorado politics, and with a new sense of purpose. 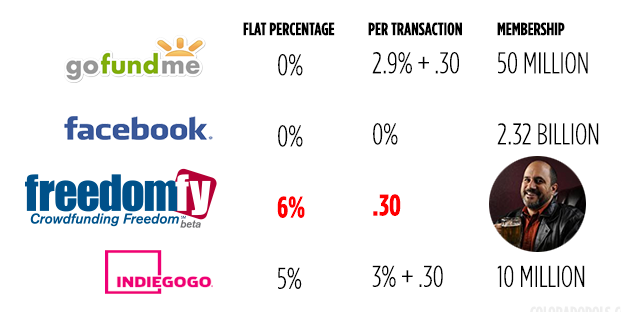 Compared to every major crowdsource fundraising platform with the apparent exception of Indiegogo, “Freedomfy” is ripping you off. The Independence Institute charges an exorbitant fee of 6%, plus 30 cents for every individual transaction. That’s more than double the fees charged by GoFundMe, the platform the Recall Polis organization from is migrating away from. What’s more, GoFundMe has an active pool of over 50 million donors. We don’t know how many members “Freedomfy” has, but it’s not anywhere near 50 million. With that said, there’s one thing GoFundMe hasn’t got–a percentage flowing to Jon Caldara. We’ve already discussed at length how attempting to recall Gov. Jared Polis, a campaign that can’t even under the state constitution begin until he’s been in office six months, is a fool’s errand logistically. The massive signature requirement to place the question on the ballot would require a multimillion dollar petition gathering operation of unprecedented scale–to say nothing of what the actual recall election would cost proponents if it made the ballot. But that hasn’t dissuaded a strident segment of the Republican base in Colorado from raving. And where there’s passion, especially poorly thought-out passion, there’s money! 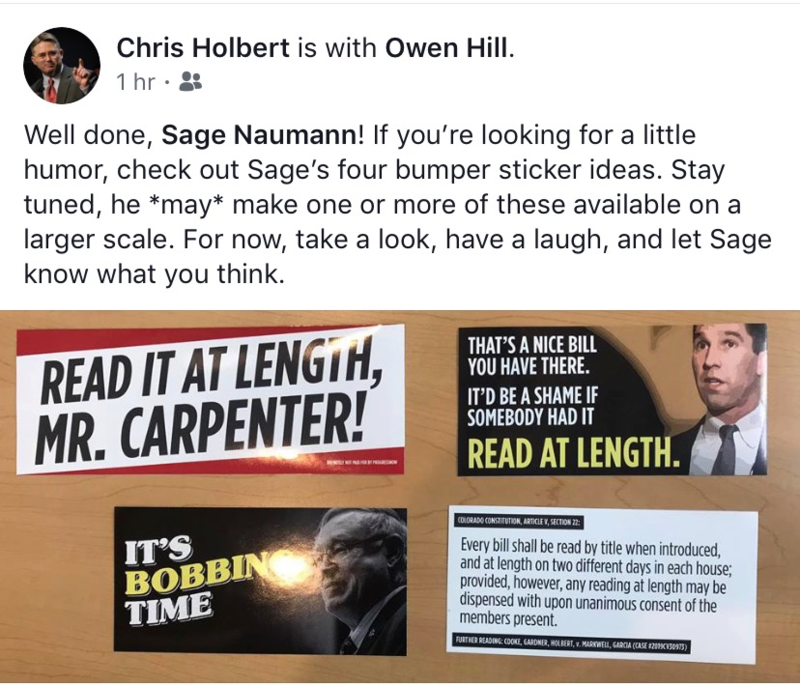 Caldara sets up a fundraising stream that he nets the skim from, and Gessler submits billable hours that there is now a stream of money to cover. That’s what they call a sustainable business model. At the end of the day, it doesn’t matter if there’s ever a recall of Gov. Polis–in fact that could be considered a less desirable outcome. Just like when Ted Harvey discovered he could cash in by sending out fundraising letters with Hillary Clinton’s face on them, turning recalls into cash machines is an end unto itself. 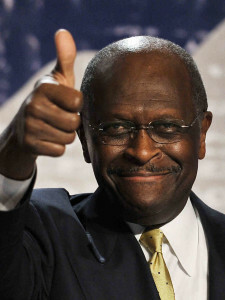 Gardner Down on Herman Cain–But Not Because He’s a Lech! CNN reports on the latest Donald Trump-engineered minefield for Republicans up for election in 2020 to navigate, the forthcoming nomination of two controversial figures to serve on the board of the Federal Reserve: conservative columnist Stephen Moore formerly of the Wall Street Journal, and more controversially Herman Cain, the 2012 presidential candidate whose campaign collapsed under the dual revelations of Cain’s gross incompetence and extensive womanizing. Aiming to avoid a public fight over the confirmation, some Republicans hope to persuade Trump to reconsider ahead of Cain’s official nomination. 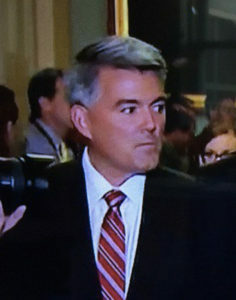 “No,” Sen. Cory Gardner of Colorado quickly responded when asked if he would support Cain. Unfortunately “that’s that” isn’t a satisfactory explanation in the least for why Sen. Gardner would oppose Cain’s nomination, yet specifically exclude Cain’s “past” from his reasoning. But there is an explanation for Gardner being cagey: in October of 2016, after the tape of now-President Trump bragging about his ability as a television star to sexually assault women surfaced to bipartisan condemnation, Sen. Gardner called on Trump to pull out of the race, saying “I cannot and will not support someone who brags about degrading and assaulting women.” In January, Gardner endorsed Trump’s re-election in 2020, saying he “likes” the President and thinks Colorado should get the chance to like him too. Gardner has yet to offer an explanation for this, uh change of heart that would reassure women voters who took him at his word the first time. But once Gardner let Trump off the hook he can’t really condemn Herman Cain, can he? Or anybody else. Potential Republican challengers in CO-6. Freshman Rep. Jason Crow (D-Aurora) pulled off one of the more astonishing victories of the 2018 election when he unseated longtime Republican Rep. Mike Coffman in CO-6. Crow’s victory came in a very good year for Democrats, sure, but five months later it’s still hard to fathom that he ultimately won this race by 11 points. Earlier this year, the National Republican Congressional Committee (NRCC) added Crow to its list of top pickup opportunities for 2020. Nevertheless, we haven’t heard much discussion among Republicans about potential challengers, and that isn’t likely to change now that Crow’s Q1 fundraising numbers have been revealed. …Crow’s fundraising total nearly matches the record haul for a Colorado congressional candidate during the first quarter of an off-year. [Pols emphasis] It falls short of the $519,000 Coffman raised during the first three months of 2013 and the $514,000 brought in for the same period by Coffman’s 2013 Democratic challenger, Andrew Romanoff. You read that correctly. Jason Crow raised nearly a half-million dollars in the first three months of his first term in office…in an off-year…without a dime of corporate PAC money. Fundraising isn’t the only criteria that potential opponents will use to gauge their chances in 2020, but Crow’s Q1 numbers are a massive warning sign that this seat may soon be out of reach for the GOP. Last week, FBI Director Christopher Wray called white supremacist violence “a persistent, pervasive threat” during testimony before the House Appropriations Committee. In November, the FBI released a report that showed a 17% increase in hate crimes from 2016 to 2017, although the bureau pointed out the number of law enforcement agencies reporting the data had also increased. Conservatives on the House Judiciary Committee, of which notably few were even in attendance, made it clear today that they are not equipped or willing to engage in a meaningful conversation about understanding and solving white supremacy and hate crime in America. Owens testified that she was participating in the hearing because she had been the victim of a hate crime in high school, which is true. But Owens spoke only briefly about that incident and then pivoted to make accusatory and incorrect claims, such as that the GOP’s Southern strategy was a myth, ignoring the fact that RNC chairman Ken Mehlman apologized for the Southern strategy’s existence in 2005. Buck, who was a longtime Weld County district attorney and is now the new chair of Colorado’s GOP party, was among the Republicans who defended Owens during the testy hearing. While the “Southern strategy” helped Nixon win the White House in 1968, Democrats went on in the ensuing decades to solidify their support among black voters, as Mehlman acknowledged. What changed between 2005 and today to make Republicans deny this dark but important period of their own history? That’s simple. The strategy became popular again–and not just in the South. 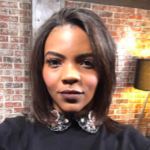 The low-information apologetics of Candace Owens, backstopped by members of Congress like Ken Buck who are seemingly out to prove Owens wrong, is a bizarre spectacle that says a great deal about today’s GOP politics. Snowmageddon! It’s time “Get More Smarter.” If you think we missed something important, please include the link in the comments below (here’s a good example). If you are more of a visual learner, check out The Get More Smarter Show. As Paul Waldman writes for the Washington Post, Barr is very much the good clapping monkey that Trump was searching for when he hired a new Attorney General. Colorado Senate GOP communications director Sage Naumann. Of course, we’re as relieved as Mr. Naumann’s high school counselor to see that this youthful indiscretion wasn’t the end of his career in politics! 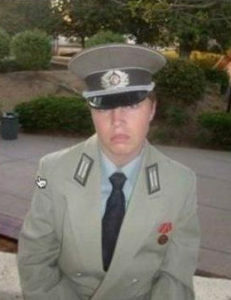 Your mileage may vary if you prefer your communications people to not dress like Nazis. On the upside, he’s almost certainly learned his lesson and is unlikely to dress up like a Nazi, you know, going forward. What you have here, of course, is Senate Republicans making light of obstructive tactics that a few short weeks ago were high drama–taken out on bystanders like Senate staffer Andrew Carpenter who was tasked with reading legislation at length, before Democrats remembered that Google can do the hard labor for them. Senate Republicans prevailed in court on a challenge to reading bills at lightning speed, but then had another Friday night obstruction attempt go hilariously awry. Since then, Democrats have gotten a large portion of their 2019 agenda through despite several lengthy episodes of what’s known as “Bobbing”–Sen. Bob Gardner droning on for what feels every time like hours of your life you’ll never get back. If bumper stickers no one outside the Dome will ever understand help console Colorado’s historically small and historically bitter GOP minority, we fully support them. We’d even buy a few so we can explain the “joke” to people. It’s sure to go over well. But when it comes to raising money, the contest to date is a runaway. 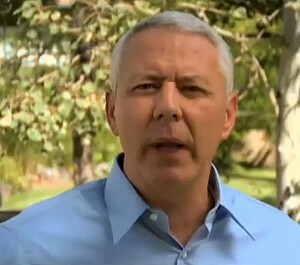 Of course, having a fatter wallet than any of his challengers doesn’t guarantee Hancock a victory in anything other than yard signs and prime TV time — a point [opponent Lisa] Calderón underscores in a comment shared with Westword about Referred Measure 2E, which was approved by voters in 2018 but doesn’t go into effect until next year (and will impact the mayor’s face for the first time in 2023). The so-called “Democracy for the People” measure will limit mayoral-contest donations to $1,000, ban corporate donations, and enable a public-financing program. It’s tough to get a read right now on the field of five candidates vying to oust Denver Mayor Michael Hancock, like which if any is consolidating enough support to prevent the most likely outcome: the fragmented “Anybody But Hancock” opposition splitting between the alternatives and handing Hancock another term. There’s a possibility of a runoff election if no candidate gets 50% of the vote, but historically incumbent Denver mayors win by a much greater majority–like John Hickenlooper’s 86% margin in 2007. For all of the discontent with Denver city government over infrastructure, housing costs, police misconduct, the treatment of the poor and homeless, and a laundry list of other issues, we haven’t seen anyone emerge in this race with a winning coalition–though we’re watching to be proven wrong. With that in mind, nothing says fait accompli like doubling up the rest of the pack combined. Sen. Kamala Harris has been elected three times to statewide office, and she’s one of the most popular politicians in California. Yet according to the latest Public Policy Institute of California poll, just 38 percent of likely state voters say she should be running for president. Indeed, for much of the Democratic field, there’s little home advantage to be found. Some contenders would have a tough time winning their own states in the general election. A few seem likely to lose their states even in the Democratic primary. Never before has the designation of a favorite daughter or favorite son candidate appeared so meaningless. 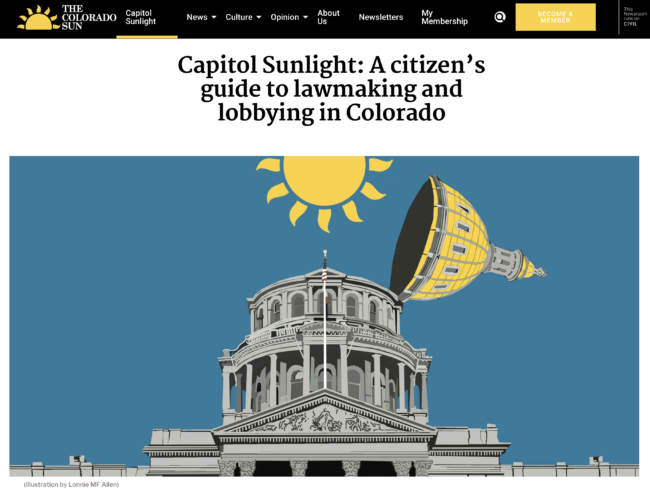 The story doesn’t specifically mention Colorado’s two Democratic presidential entrants, one official and one presumed pending resolution of a health concern, but based on our experience with attitudes among local base Democrats regarding Colorado’s elected Democratic leaders–and plenty of snarky comments from our readers–it’s reasonable to suggest that local Democrats don’t as a general rule consider either Gov. 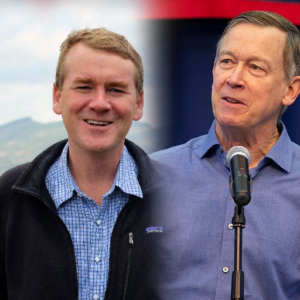 John Hickenlooper or Sen. Michael Bennet to be especially competitive candidates. But while everyone loves to pick at the flaws in our local elected leaders, and we do, we should keep in mind how base Democratic voters in California similarly aren’t very keen on Kamala Harris running for President–or Elizabeth Warren with Massachusetts Democrats, or Cory Booker with New Jersey Democrats, and so on. The polls seem to indicate we all have a tendency to be less forgiving of our own representatives, perhaps more of a reflection of frustration with American politics as a whole than anything these individuals have actually done or failed to do. In the meantime, click below to vote on which candidate you think is most likely to win the Democratic Presidential nomination. “Neither” is not an option, because we want to know who you think has the better chance of the two Colorado politicians. Who Is More Likely to Win the Democratic Presidential Nomination? Temperatures in Colorado could reach a high near 80 degrees; tomorrow it might snow as much as 7 inches. Please note that this does not give you the right to say things like, “That’s Colorado weather for ya!” It’s time “Get More Smarter.” If you think we missed something important, please include the link in the comments below (here’s a good example). If you are more of a visual learner, check out The Get More Smarter Show. President Trump continued to dismantle the leadership of the nation’s top domestic security agency Monday, as the White House announced the imminent removal of U.S. Secret Service Director Randolph D. “Tex” Alles, the latest in a series of head-spinning departures from the Department of Homeland Security. A day after Secretary Kirstjen Nielsen was forced to step aside following a White House meeting with Trump, senior DHS officials remained in a fog about the fate of their agency’s leaders, expecting more firings as part of a widening purge. “They are decapitating the entire department,” said one DHS official, noting that the White House had given no cause for Alles’s removal. President Donald Trump’s congressional allies are alarmed by his purge at the Department of Homeland Security — urging him not to fire more top officials and warning him how hard it will be to solve twin crises at the border and the federal agencies overseeing immigration policy. The president’s frantic four days of bloodletting at DHS and other agencies blindsided senior Republicans who are already fretting about difficult confirmation battles ahead. Some are worried about the rising influence of top White House aide Stephen Miller. And after November elections in which suburban voters rejected Trump’s hard-line immigration agenda, the president is once again making it the centerpiece of the GOP’s platform. “It’s a mess,” Sen. John Cornyn (R-Texas) said, summing up the dynamic on the border and in Washington. Chris Cillizza of CNN looks at the list of administration officials who said “No” to the big orange guy and subsequently lost their jobs. In the interest of transparency and public confidence in the Department of Justice, Barr should put away his redaction pen and disclose as much of Muller’s report as possible. Anything less will raise one big question: What is Barr trying to hide? Former Weld County GOP Chairwoman Stacey Kjeldgaard, who is leading the recall effort, in a phone interview Sunday went further when it comes to oil and gas — and the potential negative economic impact of SB 181 — being the reason for the recall. “That’s our big thing; that’s our only thing,” Kjeldgaard said. Recalling a freshman Democratic Representative is about a lot of things — Galindo’s sexuality, Republican anger at getting drubbed in the 2018 election, and the enormous grift opportunity it presents for numerous right-wing political operatives, to name a few — but it ain’t about how Galindo voted on SB-181. “America Is Full”–Where Have We Heard That Before? “He should take lessons from me on how to talk to the press. For a small fee — no, actually for a very large fee — I will help him out. You’ve got to learn how to talk about it, which takes years of practice, which God knows I’ve had,” Tancredo said, cracking himself up. Today the Republican President of the United States makes the kind of unhinged rhetoric that Tom Tancredo employed to infamy look tame by comparison on a daily basis. 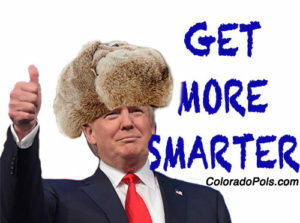 And when Donald Trump declares “our country is full,” he’s elevating the slogan of a man who was too far out on the fringe to be governor of Colorado barely a year ago. Because Tom Tancredo was around long before Trump legitimized Tancredo’s style of bitter anti-immigrant demagoguery, Tancredo serves as an excellent yardstick with which to measure how far the national discourse has fallen under Trump. The answer: very, very far.